Oh, did you want to know why? Good, I'll tell you! First of all, M30 is here! My group is M29, and now that we've been here a year, Peace Corps decided we needed new friends so they sent 70 more people. They didn't even ask me, but so far they seem mostly wonderful, so I guess I'll allow it. I didn't think I'd have much opportunity to meet M30, but as it turns out, I've gotten to spend the last week seeing a lot of them. Mostly just the ones in my sector, but we're the best, so that seems appropriate. Second of all, I found out that I get to be a facilitator for the GirlsGoIT summer camp, so that's really exciting! Some of my good friends are doing it too so we're going to have a ton of fun teaching girls about tech. 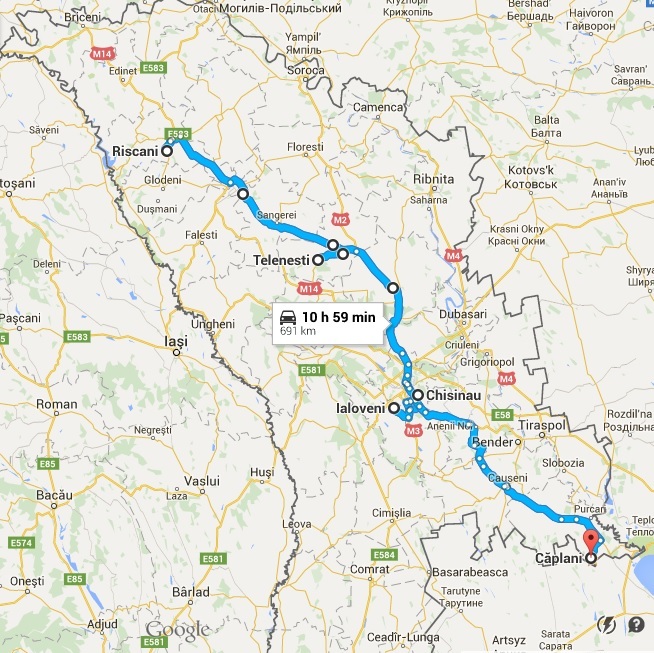 AND this week I've been travelling all around Moldova and having a ton of fun doing it. I went to Ialoveni to help lead a session for the M30 COD group. Another M29 and I developed this session, which we didn't have last year, because we thought it would be fun and helpful! It was about healthy relaxation methods and we didn't bore anyone to tears, which is, I think, the mark of a good presentation. Correct me if I'm wrong. Then I went back to Chișinău for a bit and helped out with preparing for site placement - on Thursday the M30s found out where their permanent sites are going to be! This would have been slightly more exciting if I had gotten some more neighbors, but I'm sure the two that were placed in my raion will be great. That red triangle all the way on the right is near me! The weekend took me to Telenești to visit my adopted bunica, the fabulous Ellen. She works at the library there and they organized a Healthy Life Festival on Sunday. 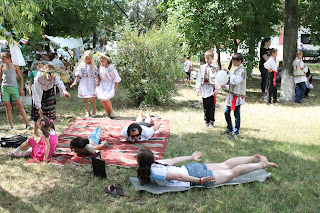 It happened at the same time as a raion festival, so people from every village were there with booths and performances. 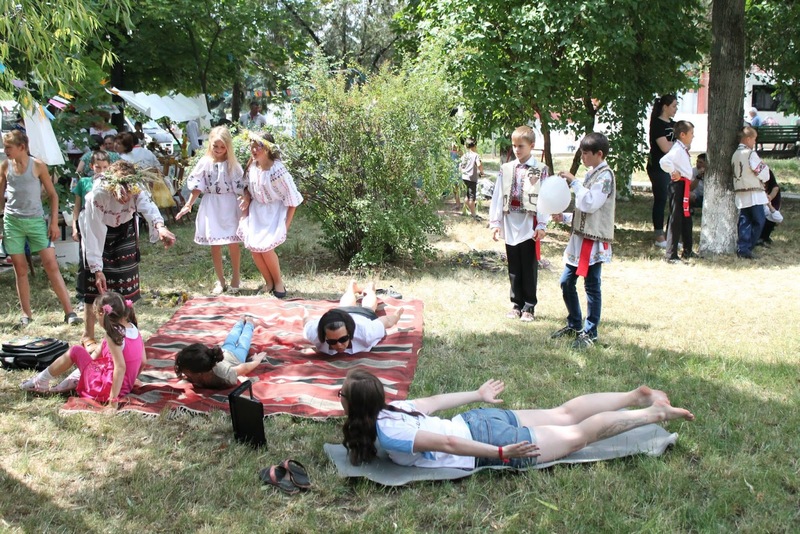 For the Healthy Life part, we had games, coloring, yoga, karate, blood tests, and literature about modul sănătos de viața. I led a short yoga demonstration for the kids and helped out with whatever else people needed! The night before, we all hung out, saw the town, and had a delicious dinner together. No surprise that Ellen is an excellent host. The week before, another friend had invited me up to visit him in the north, in Rîșcani. So after Ellen's Healthy Life Festival, a few of us made it to the main road and flagged down a bus going north that took us to Bălți. I met him and some other friends at the bus station and we went up to Rîșcani together. Two M30s were placed there, one who would have the same host family as Andrew (as he is an M28 and will COS soon! ), so we got to meet him and have some Moldovan barbecue and boxed wine. The next day we got to visit the COD M30 at his future assignment, which is an NGO that's currently under construction but will soon be a cool place to work. Then I went back down to Chișinău with the COD and his partner for their Site Team Conference. This happens right after site visits - CODs come to Chișinău with their partners and have a two-day conference about the work they hope to do, among other fun things. Our program manager had asked me to be a translator for the conference, which was so much fun. Some of the partners don't speak English and the M30s have only had a month of language training so far, so that can be a struggle. With the help of our program staff and two other M29s, I think we did a pretty good job of translating. Occasionally I would need to call for backup, but one of the partners thought I was from Romania, so that's always a compliment. I think about how a year ago, my mayor came with me to this, and he was the class clown of the group (there was one this year, too!). He told everyone that he wouldn't let me sleep or eat until I had learned Romanian, and here I am a year later doing the translating. Look at me now, Primar! So it's been a really good week with old friends and new ones. 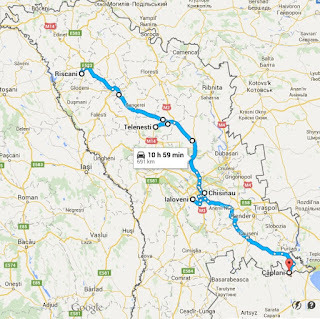 Things I learned on my trip around Moldova: I can easily say "Sure, I'll do that!" to things that once would have freaked me out (like leading a yoga class at a festival), Moldovans are well-versed in Botticelli (but also that I probably won't be able to marry anyone since I can't remove the picture from my leg..), don't listen to people saying ridiculous things about you, young Moldovan guys will dance with American women to Frank Sinatra, boxed wine tastes better if the box is shaped like a book, long rutiera rides can actually be kind of excellent, some days I do pretty well with Romanian, and this next year is going to be some kind of adventure - not that this last one was any different.